SIEGE BATTERY: Arthur Harris with a picture of his father, Quartermaster Sgt Alfred Harris. Picture: STUART BOULTON. 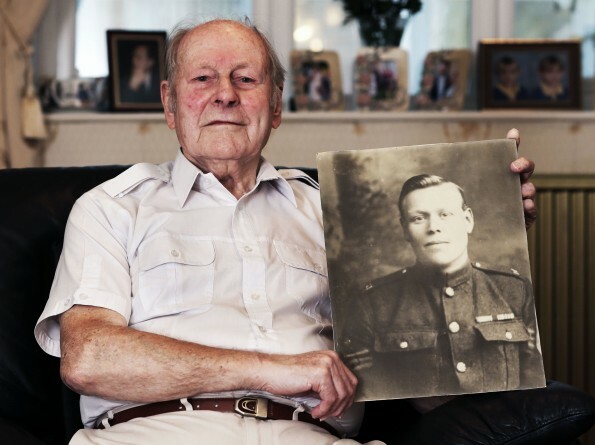 QUARTERMASTER Sergeant Alfred Harris fought throughout the First World War and when he returned to civvy street, he found himself still wearing military uniforms – to promote films in Darlington’s cinemas. Sgt Harris was a Londoner, who joined the 39th Siege Battery of the Royal Garrison Artillery in January 1914. 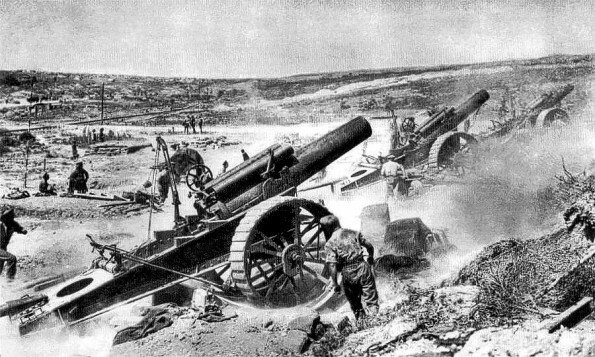 The battery, equipped with giant howitzer guns, arrived in France on November 2, 1915, and remained in action in the Somme area, pounding German lines, throughout the war. Sgt Harris survived the conflict and remained in the Army until 1926. Naturally, after the Army, Sgt Harris settled with his family in Darlington and he became staff foreman at the Alhambra cinema, which used to be on the corner of Gladstone Street and Northgate, and then at the Court Kinema, in Skinnergate. 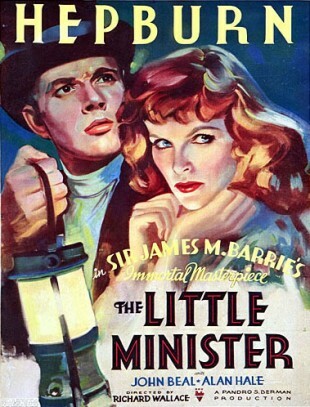 The 1930s were the height of the cinema craze – in 1939, as Memories often repeats, Darlington had more cinema seats per head of population than any other town in the country. On any night, there could be as many as 12 venues in the town showing films, so the cinemas had to go out and fight for their audiences. Arthur’s pictures show how the Court Kinema had its staff dress up and go out on to the streets to attract patrons. Unfortunately, though, Sgt Harris was suffering from his experiences in the First World War. “He was gassed twice in France, and it affected his lungs,” says Arthur. DARLINGTON’S cinemas are always worth recalling, and both of those where Sgt Harris worked were built in the first wave of cinemas before the First World War. The Alhambra, or Gaumont, opened on March 22, 1913, and was considered to be the most luxurious in the town. It closed at the start of the 1960s when it was demolished so that the Marks & Spencer’s inner ring-road roundabout and Northgate House could be built on its site. 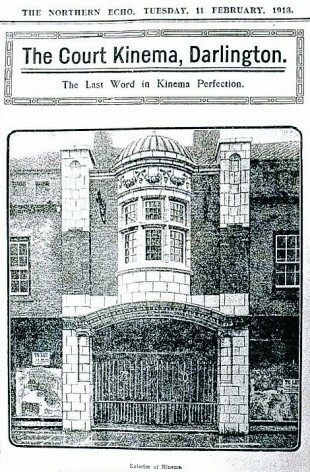 The Court Kinema, at the southern end of Skinnergate, opened on February 11, 1913, and around the time that Sgt Harris worked there, it had one of the best lines of interval entertainment anywhere in the country. A dartboard would be lowered in front of the screen, and a chap from Bishop Auckland would take his place on the front row of the balcony – roughly where the photographer who took our picture was standing.The Bishop Auckland chap would place a dart in his mouth and spit it over the heads of the hundreds of people down below in the auditorium. He did not spear any of them to death, because he invariably hit the bullseye. The Court Kinema came to a sad end though, as it burned down on August 15, 1947. Margaret Iceton, 76, was evacuated from her home next door in Friends School Yard, but returned to retrieve a pair of shoes as the fire continued to blaze. Unfortunately, the ceiling fell in and killed her. The cinema was then converted into the Court Arcade of shops – the central pathway of the mall running down the line of the cinema’s main aisle. Today, there are a couple of shops in Skinnergate on the cinema’s site, with sheltered accommodation behind – but the distinctive oriel, or projecting window, still remains. QUARTERMASTER SGT HARRIS settled his family in Bondgate, Darlington, opposite Four Riggs, in what is now a Chinese restaurant. “They’ve just opened up the upstairs in what used to be my bedroom,” say Arthur, his son, who went to Bondgate school – where the telephone exchange is today. Arthur joined the Darlington fire brigade in 1950, and finished as fire officer for south-west Durham health authority. “When I joined the brigade, it still had fire engines where we had to hang on to the sides with the ladders and get dressed as we went along,” he says. “I remember a big fire at a flour mill on Teesside and an explosion at the Bakelite factory in Aycliffe. “But my worst experiences were from my time on the ambulances – when I joined, you had to do two or three days a fortnight on ambulances and the rest was in the fire brigade,” he says. “I remember going to the electricity works in Borough Road where a chap had died up in a loft. WE cannot let Arthur’s mention of the great Bakelite explosion pass without a little more exposition. Bakelite was one of the first factories to be transplanted to the site of the Aycliffe munitions plant, which was operated by the Aycliffe Angels during the Second World War. Bakelite itself – polyoxybenzylmethylenglycolanhydride – was developed before the First World War by a Belgian-American scientist, Dr Leo Baekeland. Having conquered the world with its doorknobs and transistor radios, Bakelite was expanding into new plastics like polyethylene after the Second World War, and so it created “the most modern plastics factory in the world” at Aycliffe. It became a huge concern – in the 1960s and 1970s it employed 1,000 or more people, with its plastics being all the rage for everything from fridge doors to car dashboards. Later it became part of Perstorp, a Swedish chemical company, and just recently it has joined the Formica stable. During the nightshift on April 19, 1955, there was a terrific explosion in the factory’s new £1m resin production plant. It was so terrific that large chunks of metal were thrown onto the nearby railway line, and the shockwaves broke windows in homes a mile away – glass in Heighington and Redworth was smashed, and the noise was heard as far south as Darlington and as far north as Chilton. Fire engines from Darlington, Sedgefield, Bishop Auckland, Stockton and Ferryhill rushed to fight the fire, with many of the firemen wearing breathing apparatus. By dawn, the blaze was being dampened down, and ten Bakelite employees were in hospital. Four of them were just walking wounded, but six seem to have been quite nastily hurt, although we believe that they all recovered within months.